Sometimes Life’s ways appear to be a paradox. Many folk are unlikely to think of eating mud when it comes to cleansing the body and digestive system. But that’s exactly what this article is about. Eating mud is also an excellent (the best I know of) way to rid the gut of issues that cause diarrhoea and vomiting. Who would have thought mud could cure food poisoning? I have a story about that. Years ago, when my nephew was around 5, my brother apologetically dropped him off at my house. I had agreed to look after him that morning, and it turned out he had been projectile vomiting since the day before. Even drinking water would, within minutes, cause him to vomit violently. My brother rushed off to wherever it was he needed to be, and I headed to my stash of bentonite clay. After mixing a few tablespoons of greenish clay powder into water, I handed it to my nephew to drink. He didn’t think this was a good idea, “Even plain water makes my puke Uncle Jonathan.” I assured him this would be okay, and he trustingly drank the cloudy class of muddy water. End of story. His wicked bout of food poisoning (or whatever it was) vanished instantly. He was eating by lunchtime with no further issues. Below is a write-up on bentonite I found online. I don’t know where this article came from originally, as it’s cited in many web sites and none had any attribution to its source. So I too am sharing it, and sending out a big thanks to whoever originally wrote it. I’ve made a few additions in blue and in [brackets], along with some headings and other minor changes. What is bentonite & where is it from? How does bentonite help the body? The value of Montmorillonite lies in its very fine molecule and its [strong] negative electrical attraction for positively charged atoms. The extra fine molecule gives it greater surface area and thus stronger adhesive or pulling power, its negative charge enables it to pick up positively charged toxic material [and gram-positive pathogens] from the alimentary canal to be expelled in the feces. There is no evidence that it has any chemical action on the body. Its power is [believed to be] purely physical. There is no evidence that Bentonite’s 25 to 33 minerals can be absorbed into the body because its own adhesive power seems to be stronger. Clay’s adsorptive and absorptive qualities may be the key to its multifaceted healing abilities. Knishinsky reports that drinking clay helped him eliminate painful ganglion cysts (tumors attached to joints and tendons, in his case, in his wrist) in two months, without surgery. “Clay works on the entire organism. 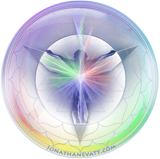 No part of the body is left untouched by its healing energies,” he notes. A medical study by Frederic Damrau, M.D., in 1961 (Medical Annals of the District of Colombia) established clearly that bentonite can end bouts of diarrhea. When 35 individuals (average age 51) suffering from diarrhea took two tablespoons of bentonite in distilled water daily, the diarrhea was relieved in 97% (34 of the 35 patients) in 3.8 days, regardless of the original cause of the problem (allergies, virus infection, spastic colitis, or food poisoning). According to Dr. Damrau, bentonite is “safe and highly effective” in treating acute diarrhea. There is a lot of mixed information and views on whether it is best to use sodium or calcium bentonite for internal use. I’ve found information stating that sodium bentonite swells so much (i.e. it absorbs water) that it will make people constipated. Personally I disagree with this. If you hydrate your clay in water before drinking it (which is always recommended), then there will be plenty of excess water in your glass, and so the bentonite is not going to “dry you up” internally. I’ve also seen information suggesting the sodium content itself is negative (some people have concerns about excess dietary sodium). Yet I have seen no studies suggesting the sodium in sodium bentonite is actually absorbed by the body. Sodium bentonite seems to be more common, is is also use as an industrial product (bentonite has many common industrial uses). It’s also worth noting that most “bentonite” clays contain a combination of sodium and calcium (and even aluminosilicate) as the predominant minerals. There is some evidence to suggest the body in fact absorbs the calcium from bentonite clay, and this may be reason to suggest it may also absorb the sodium. I understand pure calcium bentonite is rarer and perhaps more expensive than the predominantly sodium form. In reality most clay deposits are themselves a mixture of clay types with varying compositions. If you wish to play it extra safe, use calcium bentonite for internal use. Personally, I’ve used both, and experienced no noticeable ill effects from either. It is my understanding that in the USA, at least, it is complicated to label a clay as USP or Food Grade. It may require passing various FDA tests, etc. My limited research into the matter suggetst this is one reason why most “bentonite” clays sold for health use in the USA do not state they are for internal use. Some will even state “For external use only.” What’s more, if the manufacturer states it is for internal use and the customer experiences issues they may end up being held liable. So it is safer to let people buy “external use only” clay and then use it internally if they so choose. 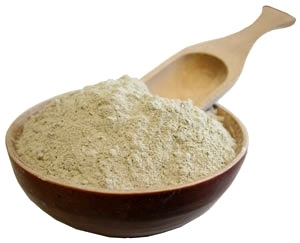 Excellent clay powder for making your own hydrated clay for internal and external use. A high quality pre-hydrated clay mentioned in above article. A wonderful clay based toothpaste. An alternative to making your own, using the recipe on my site. Great for masks and fine for internal use. Good clay powder from reputable brand NOW Foods. A well-known brand of calcium bentonite. There are many options for us clay-munchers. If you don’t live in the USA, the above product recommendations may be of little use to you. Or perhaps you can find the same brands in your country. Alternatively, search online for sources of edible calcium/sodium Montmorillonite (bentonite) available where you live. Buy it locally from Purely Earth. Here’s a direct link to their sodium bentonite products. Currently it’s about NZ$40 per KG. Otherwise, just use this link which will list all bentonite clay products they stock. So you think using the Aztec brand internally would be safe? I’ve been putting it along my teeth and just letting it sit there, swallowing some. Seemed to be the best brand, so I figured there’s no significant contamination. I suggest you ask or look into the Aztec brand. I’d personally not have an issue with ingesting some, but that’s not necessarily going to be the case for you. As for it being the best brand… That’s arguable. There are plenty of good sources of calcium bentonite and sodium bentonite.